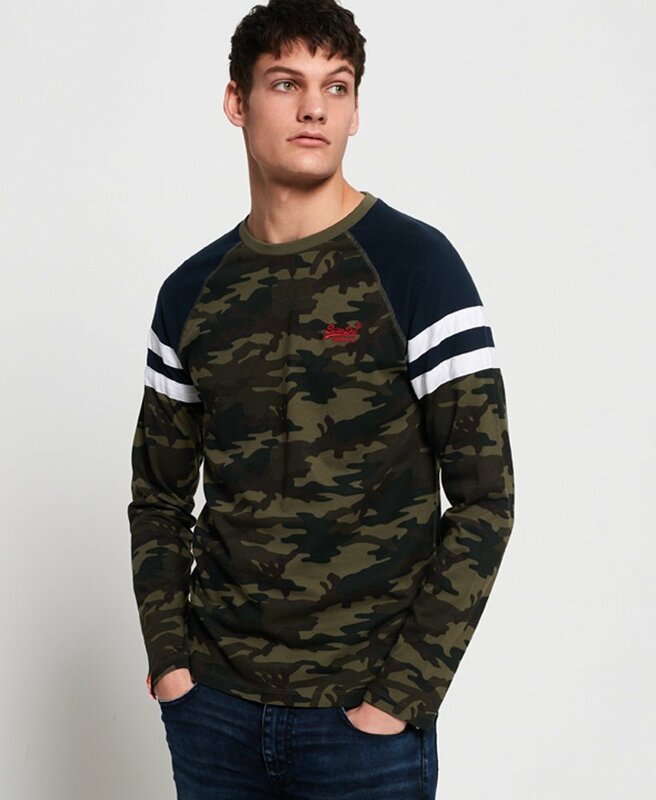 Superdry men's Engineered panel long sleeve t-shirt from the Orange Label range. Long sleeve t-shirts are a great layering piece, and this Engineered panel t-shirt from the Orange Label range is a must have. Featuring a classic crew neck, panel design and an embroidered version of the Superdry logo on the chest, this t-shirt is finished with a logo tab on one sleeve.